Ahead of its expected launch at 2020 Auto Expo, next-generation Hyundai Creta has made its global debut at the Shanghai Auto Show in China today. All-new 2020 Creta comes with a stylish new design and new engine options. Though the variant that has made debut today, is a 5 seater variant, Hyundai may be planning to launch a 7-seater Creta as well. Creta is one of the bestselling SUVs in India and the upgraded version might enable it to strengthen its position even further. 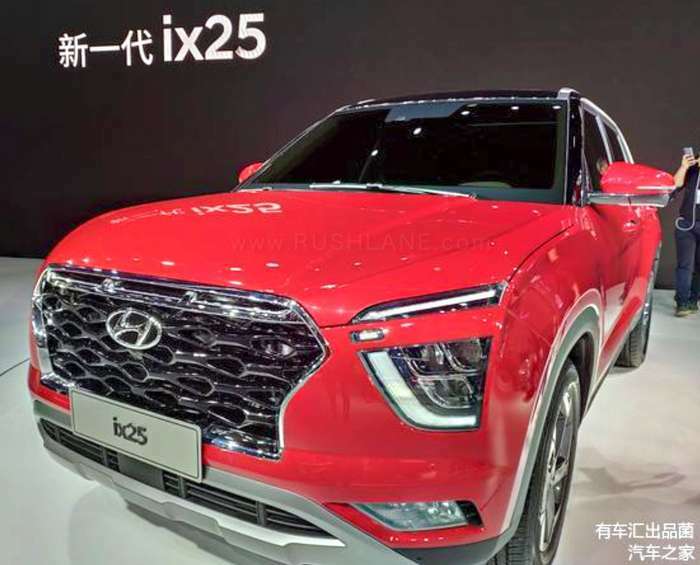 2020 Hyundai Creta has debuted as 2020 ix25 in China. 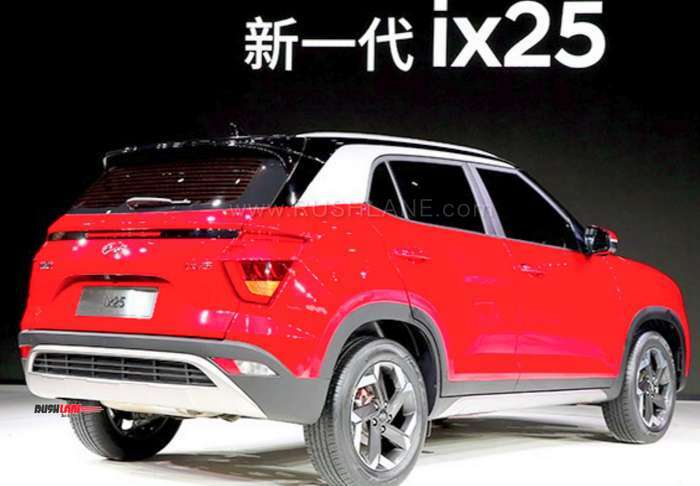 In China, Creta is known as ix25. It is in China where the first gen Creta had made its global debut in 2014, before being launched in India as Creta in 2015. 2020 Hyundai Creta is much longer and wider than before. It also comes with a lot of chrome bits on the exteriors. Grille is finished in piano black, and is surrounded by chrome and features a large Hyundai logo. Bonnet looks larger and nose appears to be elevated. Position of headlights and DRLs has been changed, as the setup is inspired by that of Kona (Tata Harrier also has a similar setup). 2020 Creta is riding on stylish 17-inch diamond cut alloy wheels. The rear design is much sharper and flatter than the current design. It looks more like a electric car from the future. Taillight setup is similar to the headlight setup as far as shape is concerned. There is a piano black strip running in between the tail lights, which also houses LED stop light. Front and rear bumper have silver accents, which add extra styling. Plastic cladding surrounds the lower part of the entire car. The shiny red body paint gets a contrast black roof. A pillar is also finished in black, which extends to the roof spoiler at the rear. B and C pillars are done in matt black, while there is a thick shade of shiny white colour running along the black roofline on the side. Interiors have also been revamped, featuring dual-tone black and beige colour theme with red stitching and luxe upholstery. Another highlight is piano black and chrome accents that have been used on the door and possibly other places too. Dashboard feature a free-standing touchscreen infotainment system, with a large touchscreen, just like we have seen in Tesla cars. Steering wheel is new, finished in leather, so are the dashboard and door components. Everywhere there is soft touch material in the cabin, making the new 2020 Creta much more premium than the current Creta. Second generation Creta is likely to get new 1.5 litre petrol and diesel engines which are BS6 compliant. Thanks to new engines, and heavily updated exteriors and interiors, price of new Creta will be considerably higher than the current Creta. Take a look at the photo gallery of new generation Hyundai Creta below.